If you’ve been thinking you might try and save a little cash when purchasing your new 27″ iMac, by upgrading your hard drive to a solid state disk yourself, after purchase. Be warned Apple has not made the installation as easy to do as it could or should have. A 256GB SSD upgrade on your new iMac will cost $600 from Apple. But unfortunately doing the upgrade after purchase is definitely not for the faint hearted. 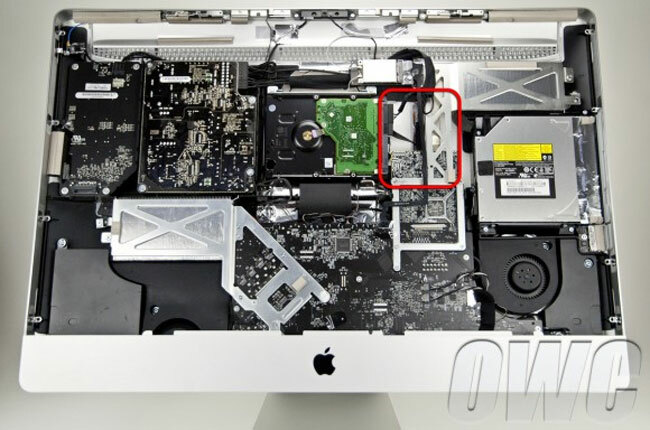 The method involves connecting a data cable to the empty SATA port on the back of the logic board, which in turn requires partial removal of the logic board.